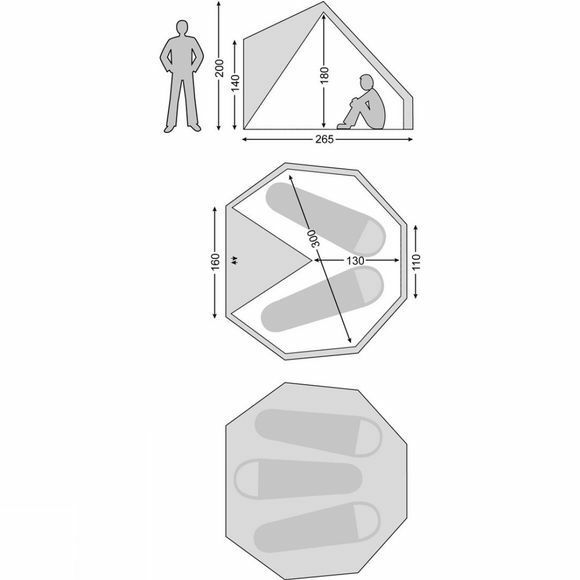 The Asgard 7.1 TC Tent with Sewn In Floor from Nordisk is a tipi style tent that offers generous space for camping. It can sleep up to 3 people and the large A-frame door protects against the weather outside. There are multiple ventilation options thanks to the mesh windows and the large mesh door while the Technical Cotton fabric will keep the weather on the outside while maintaining a comfortable environment on the inside. 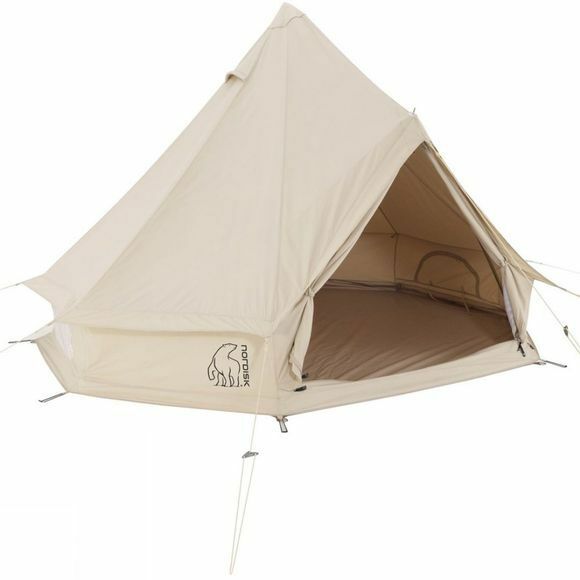 Thanks to the centre pole construction and bell tent design, it is easy to set up and may be small on size but is big on performance and features to improve your overall camping experience.